Below is a brief summary of a few of John’s publications/contributions. Visit interviews, media/talks and John’s profile page to find out more. Flackett, J., The Dichotomy of Scaled Connectionist Compositionality: (S)RAAM - Trick or Treat?, PhD Thesis, Nottingham Trent University, Nottingham, UK. 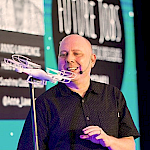 If you would like to interview John for your publication or would like John to facilitate a workshop or speak at your next event, convention or conference, please drop us a line. 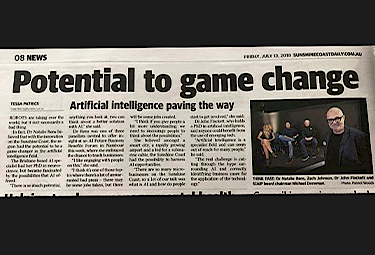 With Artificial Intelligence contributions in education, industry and community, John has given media interviews, as well as produced and contributed to publications.